Taylor, is a third generation family owned business founded in 1920 which operates seven Taylor specialty stores on the south shore of Montreal. 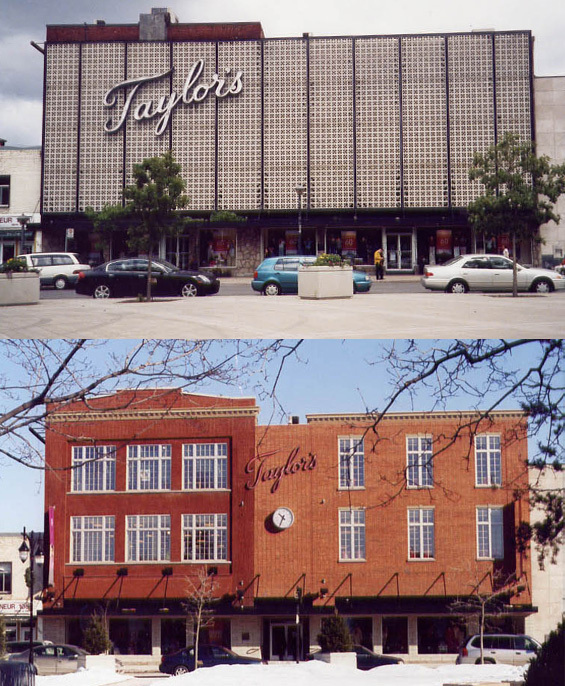 Taylor stores offer quality clothing and accessories for men and women. We at Taylors have always worked with only one objective in mind, to offer our customers high quality value-price merchandise combined with personal service. Taylor has an unparalleled reputation for high level service provided by friendly, knowlegeable professionals. Today, Taylor is managed by the son of Mr Charles Taylor, Robert Taylor. Here are some pictures of the company headquarters located in St-Lambert through out time.